Halloween is on the oldest festival/ holiday celebrated across various parts of the world on 31st October. The word Halloween is a short form for All Hallows’ Evening also known as Hallowe’en or All Hallows’ Eve. Halloween originated from the ancient Celtic folk custom known as Samhain that was celebrated at the end of the harvest season in Gaelic culture signifying “summer end”. It was also a pagan holiday to honour the dead as they believed that on the 31st Oct, the boundaries between the worlds of living and dead would overlap and the soul of the dead would roam the streets at night. In the old days, Celts would leave food and gathered around to set huge bonfires by burning crops, which pray for good harvest. They would also dress with animal skins to scare and hide from the spirits. 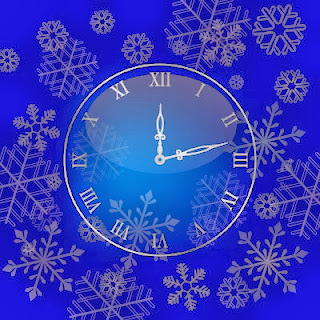 The Irish and Scottish immigrants later brought this practice to North America in the 19th century and by the late 20th centuries, this holiday has spread to other countries such as Ireland, US, Canada, Puerto Rico , UK, Australia and New Zealand. After the WW2, the commercialized American cultural influence has evolved this festival into the Halloween as we know today. Halloween has now turned into a great profit opportunity where costumes, decorations, candies or treats, theme parties and horror movies take place. Traditional activities for this celebration includes bonfires, carving jack o lanterns, costume parties, trick or treating, visiting “haunted houses” and watching horror movies. In Hong Kong, Halloween is celebrated not to the same extent of their western counterparts but in the last decade, local businesses also begun successfully incorporating this theme into their business practice. Big theme parks such as Disneyland and Ocean Park turn this festival into an annual “must go” event. They offer one of a kind, creepy and entertaining experience by featuring different collections of staged horror scenes through their well known house of horrors inside their theme park while successfully capturing the heart of many locals and tourists. The impact of the Halloween festive has also started to spread in China, where many hospitality businesses in big cities are hosting Halloween parties and masquerades. Large retails & shopping malls are also investing heavily on the Halloween gimmick and have put up large Halloween related displays, installations and promotion discounts to drive sales and spending to the consumer. Baldrige Criteria for performance excellence. 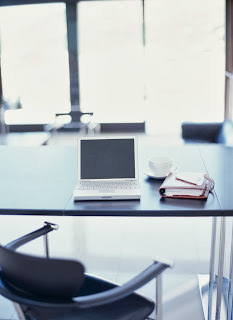 Even if business is going well it is vital to work on making improvements where necessary. Many businesses don’t like to focus on the negative but by having process measurement practices in place you are more likely to spot problems and repair them before they begin to really affect the business as a whole. Here are some great tips on how to ensure your process measurement process is successful. Understand your business and design a metrics program that will be based on the entire company, including all of your goals and ensure all departments are working and aware of the metrics you’re using in your program. Don’t be culturally resistant to change or resistant to measurement. You must understand what your internal barriers are and figure out how break through them. Don’t try and measure everything because this is a difficult task. You need to focus on certain Metrics that are important for your business and measure them well. Concentrate on your customer, the financial side of the business and the operations. Take the hard road and don’t opt for the easy option. You will have challenges in the measurements you want to use, but don’t always assume the processes that can easily be measured are the right ones to concentrate on. Find the right balance of process measurements for your business. Use industry benchmarks appropriately. Don’t think you need to sacrifice your brand in order to meet a benchmark. You must remember what makes you unique and therefore some benchmarks need to be tailored to your company. Get to know your customers and talk to them as they are the ones who will know what’s working with your business and what isn’t from their point of view. Listen and learn. Measure the IT metrics as they will help you to determine what needs to be tweaked within the infrastructure to help support your KPI’s. Use process measurements and metrics programs that are already available rather than trying to invent your own. Six Sigma, ITIL are some methods that have proven track records but there are low cost tools out there for new businesses. If you don’t know what you’re doing right or wrong call in the experts. 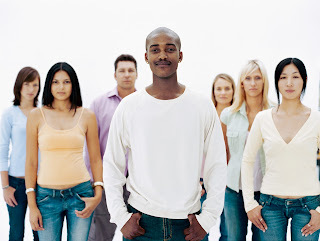 If you don’t have the skills in house consider outsourcing and then training your employees. Is Your Business Prepared for 2014? As 2014 comes ever closer it is time to look ahead and prepare for the year ahead. There are certain business trends that you’ll be wise to pay attention to in order to plan for the future and take advantage of the possibilities open to entrepreneurs and business owners. • Optimise your Business Operations - It is essential that you are able to change and adapt quickly due to the rise in faster communications as business trends are changing in a blink of an eye. You need to be small, nimble and work faster, so many of the larger businesses have been opening smaller business units in order to segment the company to react as quickly as necessary in this fast paced world. Faceless corporations are becoming harder to trust in the eyes of the consumer, this is something you need to focus on. • Communications are Key - The one way conversation is dead, you cannot expect your customers to be happy with your services unless you’re prepared to communicate. Facebook, Twitter and social media as a whole means consumers can now sing your praises or slate your services anytime they want and you must be willing to admit your mistakes and work hard to have conversations and engage your customers. • Take Advantage of What’s Free - Social media provides businesses with a free, or at least cheaper, way to advertise. You need to create a solid social media marketing plan to make the most of this opportunity. There are other free systems out there that can benefit your business including communications and collaboration tools such as Skype and Google apps. • Enter the Youth - The business world is welcoming more savvy young individuals than ever before. Young people are achieving great things in business thanks to their ability to adapt, use technology and see opportunities for growth, something all businesses need to be doing. • Small Businesses are Gaining More Power - Thanks to the ability to serve the customer with two way conversations and use the free technology systems small businesses are proving to be very powerful. E-commerce is opening up many more doors for entrepreneurs and business owners and if you’re failing to jump on board with this technology and failing to interact with your customers online you can’t expect to be in business for long. Activities: Congrats to the team on winning the Sedan Chair Race 2013! Royale International is proud to sponsor one the winning teams on this year's Sedan Chair Race held yesterday at the Mathilda International Hospital at the Peak . The Sedan Chair Charities Fund’s aim is to raise money for needy charities in Hong Kong mainly through their annual Sedan Chair Race and Bazaar. 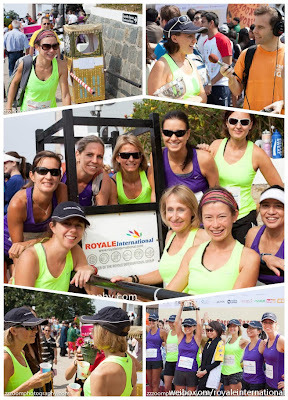 It consists of teams carrying sedan chairs racing around the Peak on a route (2.1 km), starting from the Matilda International Hospital. Funds raised goes to support organizations that generally do not receive assistance from the Hong Kong Community Chest, Hong Kong Jockey Club or the Government. Trust – you need to work on building trust between you and the customer as the retailer takes control over the shopping process. Tailoring – the website must be tailored to the customer, using systems similar to Amazon.com who have a personal greeting on the welcome page with [products appearing that the customer is likely to be interested in. Choice- Providing choice within every product category is essential in order to create loyalty. Price – Prices are transparent on the Internet which is a concern for retailers. You can improve the pricing by using promotions, added value options and excellent payment systems. provide as much employment security as possible. There are six lessons that can be used to help businesses venturing into internet grocery retail become successful. These lessons have been created after examining the in-depth modelling and examination of different logistics solutions found all over the world, and by looking at direct consumers’ experiences from pilots that were located in Helsinki, Finland. · Build up the operation systems based on providing a local business. Build a good density of customers in your area and them continue to copy and paste these systems to grow on a larger scale. 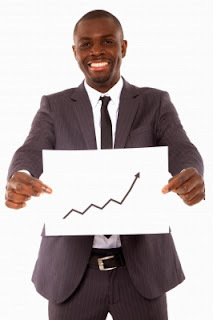 · You must focus on growing the trust of your customers and building brand loyalty. Without this loyalty your Egrocery business will not succeed. · Have at least the same buying power as the supermarkets have in your area. · The operational efficiency must be at a very high standard and maintained. You can begin with a stored based service using reception boxes and grow to a hybrid model where you create dedicated fulfilment centres once the business is able to justify this investment. 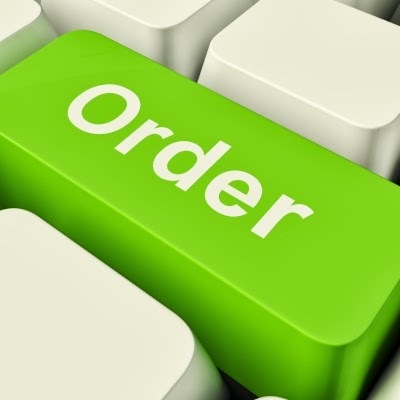 · The interface your customers use for ordering must be excellent. It needs to show the availability of the products at the very least. · Expand on the different ranges of products that you’re able to offer and add non-grocery items with bigger profit margins when you have the logistics systems in place to provide your customers with an excellent service. It is important to use an approach to the logistics that will reduce the operation costs yet still provide an excellent customer service. Logistics plays such a huge role in online grocery retailing and therefore it needs to be one of the strategic concerns that are focused on. This, combined with the online marketing, creating a good website that works well, looks attractive and offers a broad range of products is how the Egrocery market has been able to develop and take off in many parts of the world. The distribution infrastructure can be developed through the development of their own logistics or by using a third party logistics service provider. It is necessary to define a catchment area where they will be able to deliver to their customers in time and in a manner that is cost effective for the company. Small shops can pick goods of the shelves or out of the stock rooms of their stores while larger retailers can choose to store groceries in a larger warehouse so the goods can be picked, packed and shipped direct to the customer directly. There are many different angles of approach that can be used with logistics services for EGrocery retailing. 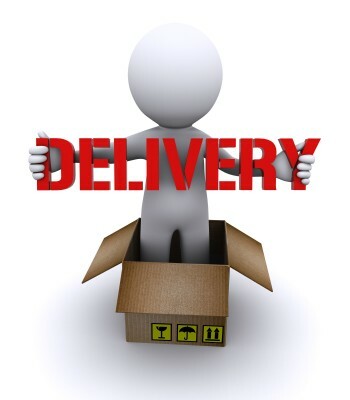 The technical approach, where you need to focus on the modalities of optimal delivery to the customers and the socio political approach focusing on the implications of development in ecommerce in urban areas and the strategic approach that defines the best approach for the firm to manage their supply chain. The success of any online shopping retail venture depends upon the potential of the market and the costs of distribution. These are interdependent as if the market is high there will be moderate distribution costs and when the demand is low there will be very high distribution costs. Currently the demand for online grocery shopping seems to be quite low and many retailers try to encourage customers to use their services by lowering their costs and their profit margin as a result. This isn’t effective as the running costs are too high and the profits are low. It’s a nightmare scenario that needs to be avoided. 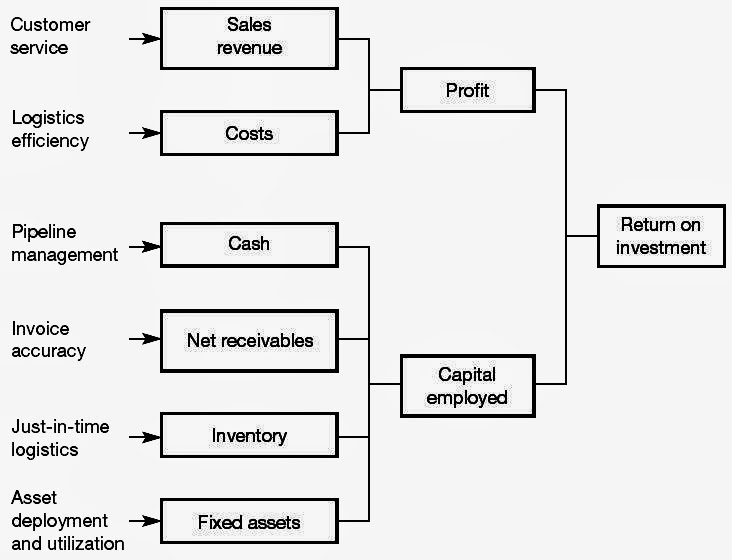 By using all three together it is possible to come up with a plan that will ensure the profit margins are worthwhile and the costs of distribution are kept to a minimum. Most people think online grocery shopping is expensive and the costs of the delivery service are more than it costs to simply go out and buy the goods in person. Online shopping websites can be too complicated for the customers. Customers find online shopping for groceries to be boring. There is a market for EGrocery businesses, the most successful are those that began and continue to serve their customers in brick and mortar stores. Using their experience in grocery retailing they are able to work out the logistics involved in order to give their customers a new way to shop. One that is more convenient for the customer. The size of the fleet continues to grow over the past few years. Seaborne trade and the freight rate are the main determinants of fleet size. In order to get your head around these determinant factors and how they affect the size of the fleet it is worth looking into a regression equation that is used to determine the fleet size. Gather the selection of potential predictor variables. The variables are those that might add to the accuracy of the predication need to be included in the regression equation. The empirical model shows that seaborne trade and freight rate need to be used to predict fleet size. Screen the variables that don’t need to be used in the calculations. You need to select the variables which are low multicollinearity with the independent variables that have high correlations with the variables that are dependant. Refine your list of predictors and come up with the best regression equation. Pick the best independent variables in the predictors and the value of the coefficient of the independent variables that were computed. The results show that the independent variable of seaborne trade is the one predictor that is best to use when it comes to predicting fleet size. One of the most influential factors of the market structure of bulk shipping is the demand and supply conditions. 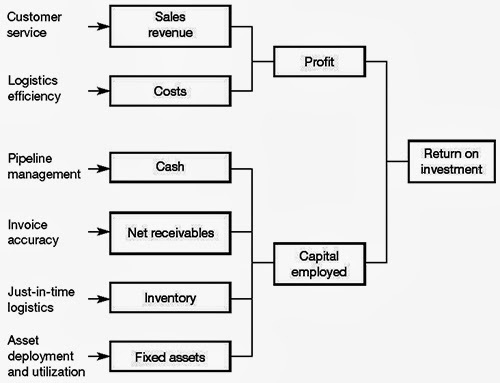 The market structure has a direct effect on the investment and operation decisions that are made by the companies in the marketplace. Buyers and sellers trade in transport services so that the price of shipping freight can be determined. From these calculations the fleet size is established. The freight rate (the price of shipping) is always affected by the seaborne trade and this is vital to the demand for the bulk shipping services. Freight rate can also influence the carrier’s decisions on how to change the size of the fleets in operation that will be able to meet with the level of demand. There are four different markets in bulk shipping that all work together to create the whole market. All of these markets are linked by the cash flowing between them all. The freight rate is then established by the supply demand within the time period. The rate of the freight always moves to the level that the shipping demand equals the shipping supply in the market. This year, Royale International is proud to be a sponsor for the 2013 Sedan Chair Race & Bazaar held on October 27, 2013. The Sedan Chair Charities Fund’s aim is to raise money for needy charities in Hong Kong mainly through their annual Sedan Chair Race and Bazaar. It consists of teams carrying sedan chairs racing around the Peak on a route (2.1 km), starting from the Matilda International Hospital. Funds raised goes to support organizations that generally do not receive assistance from the Hong Kong Community Chest, Hong Kong Jockey Club or the Government. If you would like to participate or learn more about this event, here are the details. encourage input from employees, customers and suppliers. Bulk shipping transport is a cost effective way of transporting large quantities of cargo that is used to serve international trade. The bulk ships carry large quantities of dry cargoes from one port to another. Unlike other forms of shipping there are usually no fixed routes to follow and a schedule is not used. In the freight market the cargoes are carried at the freight rates. The terms and conditions have been negotiated between the shippers and the carriers, usually through the sea brokers. The bulk shipping market is affected by numerous factors, it depends on the demand for the supply of the bulk shipping services and the characteristics of the market structure also play their part. These characteristics include the number of shipping firms, their operations and the homogeneity of the services they provide. Chit Chat:UNICEF "I Donate My Birthday"
How would you like to celebrate your birthday by makeing it more meaningful and memorable? 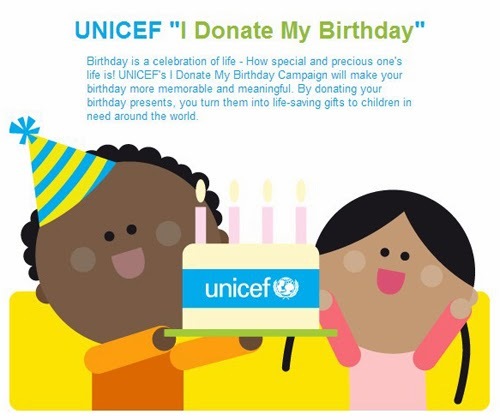 If yes, join the UNICEF " I Donate My Birthday" campaign. Simply register at UNICEF website, and turn your birthday presents to life-saving gifts to children in need around the world! What is the International Maritime Passage? You cannot talk about international trade without considering the geographical pattern of the world. Sea transport is constrained due to the geography of the planet. In order to work with these containment's sea transport follows the international maritime passages. One of the most well-known maritime passages is the Panama Canal. It is about 80km long and lies between the Atlantic Ocean and Pacific Ocean. It uses locks to control the flow of the ships, the raise the ships from the sea level of the Pacific or the Atlantic to the level of Lake Gatun so the ships can then move on to the Continental Passage. 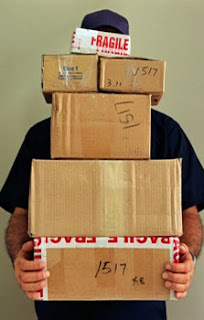 What are the Sea Transport System and the Concept of Parcel Size Distribution? Thanks to the increasing economic growth there is a higher international trade market and this requires a sea transport system to operate. Seaborne trade is therefore linked to economic growth. Emerging countries have a much greater need for raw materials and usually have a high output level too. Much of the growth in the bulk trade therefore has come from countries in Southeast Asia. Importing and exporting relies heavily on the sea transport system. The emerging markets are able to afford the imports because they can offset the costs by exporting their own goods. They are able to supply low cost labour so that goods can be produced for the export market. With importing and exporting playing such an important role in the economic growth of these new emerging markets the sea transport system has increased and it continues to grow. The concept of parcel size distribution, PSD, is useful. The parcel in the concept is the individual consignment of the cargo that needs to be shipped. PSD is used to determine the transport of the bulk cargoes and the general cargo being shipped. It answers the question ‘which cargoes go in which ships?’ It is used to classify what cargo is able to be shipped as general cargo and determine the type of carriers that will be used for the transportation. It is also used to determine the bulk cargo loads that will need to go on larger ships. 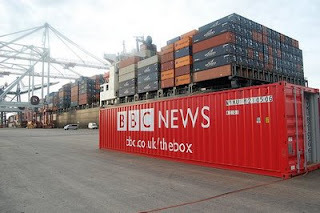 So consignments of watches are smaller and therefore they can be stored in containers and shipped on liners. Bulk cargoes can sometimes fill entire ships and therefore the liners wouldn't be appropriate. Terminal operators are the parties that operate berthing and cargo handling port services. That’s not all; there are several other parties too! Shipbrokers who act as the intermediaries between the owners of the ships and the charterers. They also act between the buyers and the sellers of the ships. Non vessel operating common carriers that don’t have any vessels but they organise the provision of shipping services. With so many different players involved in shipping the transport of goods is extremely important on an economic level for many countries. As many businesses rely on efficient and available shipping services it’s essential that the shipping business continues to provide excellent services. Chung Yeung Festival falls on the ninth day of the ninth lunar month and is traditionally a day for family to pay their respect to their deceased ancestors and a time to go to hiking or high grounds to ward off evil and ensure good health and longevity. This year Chung Yeung falls on the 14th Oct 2013 on the same day of Columbus Day (Christopher Columbus’ first voyage to America in 1492). There are some variations of the story behind Chung Yeung Festival but the one most people read in school refers to the Han dynasty (202 BC – 220 AD) legend in which involves a scholar and Taoist teacher. After the death of his parents from plague, a scholar went to study under a Taoist master in the mountains. One day, his Teacher told him that on the ninth day of the ninth lunar month, the “plague demon” from Ruhe River will return. The scholar must return to the village that day to save the villager by moving them to high grounds and defeat the plague demon. Before he left the mountain, his Teacher gave him a sacred sword, zhuyu leaves and chrysanthemum wine as it has cleansing qualities. 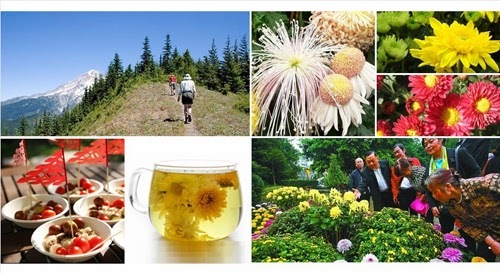 The scholar return to the village and persuaded everyone to go up the hill while distributing food, zhuyu leaves and chrysanthemum wine to each villagers. That night, the “plague demon” returned but only to be successful defeated by the scholar. Since then, it has been a Chinese custom to celebrate Chung Yeung by leaving home to go “high ground”/ hiking or go to the cemetery to worship their ancestors. What is the importance of Shipping? Netchain – What is this?